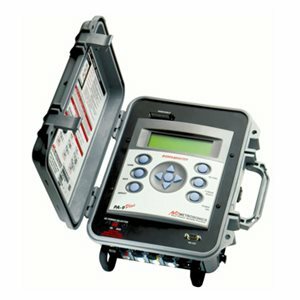 The Megger PA9Plus is the latest innovation of the successful PA-9 Power Quality Analyzer platform. It incorporates newly enhanced key features including a faster Digital Signal Processor (DSP) to support continually evolving capabilities, a full 12 MB of nonvolatile internal memory and standard auxiliary power input capabilities. 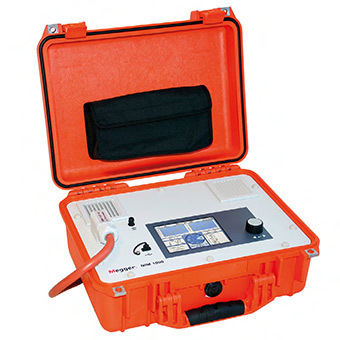 To address worldwide requirements and applications, the PA9Plus is CE marked, supports several international languages, and adheres to applicable European and North American standards (EN50160, IEC61000-4-15, IEEE1159, IEEE519), including automatic phase lock loop synchronization of input frequencies ranging from 20 Hz to 70 Hz, flicker measurements and recording, and out of limits/frequency trending. The optional removable memory capabilities allows internally recorded data to be copied directly to an external standard compact flash card using the same technology available with most of today’s digital cameras. This means that without a computer on site, data can be manually or automatically copied from the instrument to external memory cards, increasing the effective instrument memory storage to the size of the card used. Similarly, new configuration setups may be programmed in the same, simple manner. The standard software has been enhanced to fully support the new functionality and is included at no cost with every PA9Plus purchased. A new, optional report generator has also been developed to support your customized documentation/reporting needs. The PA9Plus records power quality and power flow information simultaneously. The recorded information can be viewed via the built-in graphics display, downloaded to a computer using the serial interface and optional modem, or transferred using the optional removable Flash Memory Module.